There are defenses to DUI charges. We will fight to protect your license, freedom, and reputation. There are defenses to drunk driving charges. Don't trust your license, freedom, and reputation to the wrong defense attorney. The Philadelphia criminal defense and DUI attorneys of Goldstein Mehta LLC regularly represent clients who are facing DUI charges in Philadelphia and the surrounding counties of Bucks, Chester, Delaware, and Montgomery. If you or are loved one are facing DUI charges, call us at 267-225-2545 for a free DUI defense strategy session. We know the ins and outs of Pennsylvania's complicated DUI law and have successfully defended clients in hundreds, if not thousands, of Driving Under the Influence cases. We have won Driving Under the Influence cases at trial, through pre-trial motions to suppress and checkpoint motions, and through the use of speedy trial motions. Our Pennsylvania defense attorneys are well versed in the law surrounding breath tests, blood tests, refusals, standard field sobriety tests, calibration, and the constitutional issues surrounding motor vehicle stops and DUI checkpoints. Driving Under the Influence convictions have incredibly serious consequences in terms of mandatory minimum jail sentences, the loss of driving privileges for extended periods of time, substantial fines, and the potential to create real problems with employment and professional licensing. If you are facing drunk driving charges in Philadelphia or one of the surrounding counties, do not trust your defense to a lawyer who focuses on general litigation and dabbles in Driving Under the Influence on the side. The consequences of DWI are far more severe than they used to be. If your lawyer does not properly handle the case, you could lose your freedom, your license, and your livelihood. Speak with one of our DUI lawyers - we know how to fight these cases. Call 267-225-2545 today for a complimentary 15-minute criminal defense strategy session. We have received your message. One of our attorneys will get back to you shortly to discuss how we can help. Our Philadelphia Criminal Defense Lawyers offer a 15-minute, complimentary criminal defense strategy session. We know that picking up the phone and calling an attorney can be intimidating, so in this video, I explain what you can expect when you call us. Call 267-225-2545 to speak with one of our criminal defense lawyers. Pennsylvania's Driving Under the Influence statute is codified at 75 Pa.C.S. Sec. 3802. There are a number of different subsections to the statute which create different types of DUI offenses. In general, the two main categories of drunk or drugged driving offenses in Pennsylvania are Driving under the Influence of alcohol and Driving under the Influence of a controlled substance or illegal drug. The two offenses are treated differently in some very important ways. It is important to understand the distinctions between the two types of DWI charges. 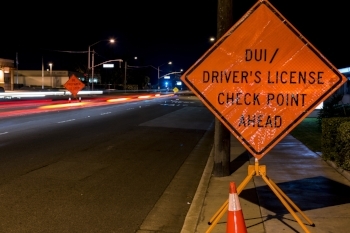 There are two ways that the prosecution may prove an alcohol-based DUI. First, under 75 Pa.C.S. Sec. 3802(a)(1), the prosecution may prove that the defendant was driving under the influence based solely on the observations of the police or other eyewitnesses. In order to prove a violation of (a)(1), the prosecution must show that the defendant drove, operated, or was in physical control of the movement of a vehicle while incapable of safe driving due to being under the influence of alcohol. Section (a)(1) of the drunk driving statute makes no reference to the defendant's Blood Alcohol Content or BAC. The defendant may be convicted based solely on the observations of the arresting officer. For example, a police officer witness could testify that she stopped the defendant because the defendant's car was swerving in and out of its lane and failed to stop at multiple stop signs. When speaking with the defendant, the officer smelled the odor of alcohol and noticed that the defendant had slurred speech and seemed unsteady when reaching for his paperwork. When the officer asked the defendant whether the defendant had been drinking, the defendant replied that he had one or two beers. Assuming the judge or jury believes the testimony of the officer, then the judge or jury could be justified in concluding that the defendant was 1) driving a motor vehicle and 2) incapable of operating it due to being under the influence of alcohol. This type of case is commonly called an "observation" or "(a)(1)" Driving Under the Influence case. The second type of alcohol-based drunk driving case in Pennsylvania occurs when the police have stopped the defendant and obtained a blood or breath sample from the defendant. This type of case is prosecuted under 75 Pa.C.S. 3802(a)(2), (b), and (c). If the blood or breath test shows that the defendant was above the legal limit of a .08 BAC, then the defendant would be guilty of Driving Under the Influence. For purposes of this section, it does not matter if the defendant was actually unable to drive safely or committed any motor vehicle violations. Depending on the circumstances, those issues could be raised at a motion to suppress hearing, but they will not be a defense at trial. If the judge denies the motion to suppress, then the defendant could be convicted of DUI solely for driving with a BAC above .08 regardless of whether or not the defendant committed any motor vehicle violations or was actually able to drive safely. Under 3802(a)(2), (b), and (c), there are three tiers of BAC with escalating penalties. (a)(2) punishes those with BACs from .08 to .10 and is a Tier I DUI. (b) punishes those with BACs from .10 to .16 and is a Tier II offense. The highest tier, under section (c), punishes those with a BAC of .16 or above as well as those who are convicted under (a)(1) and refused chemical testing. The consequences of a conviction vary tremendously depending on the tier of the offense. For example, a first-offense Tier I conviction does not involve a driver's license suspension, whereas a first-offense Tier III conviction requires the sentencing judge to impose a one year driver's license suspension and a mandatory 72-hour jail sentence. The sentences also become even more severe for second and third offenses. Unlike Pennsylvania's alcohol-based drunk driving statutes, the DUI sections which deal with drugs have no requirement that the defendant be unable to safely operate a vehicle or that the defendant have a BAC that corresponds with some level of impairment. Instead, the statute prohibits driving with any detectable level of a controlled substance for which you do not have a controlled substance in your blood. There are some exceptions for Schedule IV controlled substances like Xanax and other benzodiazepines. But under Pennsylvania law, you can be convicted of DUI even if you are not high. Some drugs remain detectable in your bloodstream in your system long after you stop feeling their effects. If you regularly use marijuana, you may have detectable levels of marijuana metabolite in your blood for thirty days or more. This means that if you are arrested for DUI and blood tested, you could test positive for marijuana metabolite and be convicted even if you have not smoked marijuana in a month. Everyone in the courtroom is likely to agree that you were not actually high - the police, DA, and DA's expert witness will all recognize that the presence of marijuana metabolite does not mean you could not drive safely. Nonetheless, it is still illegal to drive with marijuana metabolite in your blood. Because there is no requirement that the defendant was actually driving while high, Pennsylvania's drugged driving statute penalizes any illegal use of a controlled substance. It does not just punish drunk driving. There are four sections of the Pennsylvania statute which deal with driving while under the influence of drugs. The first section, 75 Pa.C.S. Sec. 3802(d)(1), prohibits driving, operating, or being in physical control of the movement of the vehicle with any level or metabolite of a Schedule I substance in your blood or any Schedule II or III substance or metabolite without a prescription. Schedule I controlled substances are drugs for which the Federal Government has determined that there are no medically appropriate uses. Although many states now have legal medical marijuana, marijuana remains a Schedule I substance according to the federal government. Therefore, driving with any level of marijuana or its metabolites in your blood means you are DUI in Pennsylvania. Section (d)(1) provides a per se prohibition on driving with certain drugs in your system. It does not require the prosecution to prove that you could not drive safely. It only requires evidence that you were driving or in physical control of the movement of a vehicle and that you had a prohibited substance or the metabolite thereof in your blood. The second section, (d)(2), makes it illegal to drive when the "[t]he individual is under the influence of a drug or combination of drugs to a degree which impairs the individual's ability to safely drive, operate or be in actual physical control of the movement of the vehicle." This section is similar to the (a)(1) section for alcohol because it could lead to a conviction even where the police never obtained a blood sample from the defendant or if the blood result is suppressed at a motion to suppress hearing. For example, imagine a scenario in which the officer pulls a defendant over for swerving, the defendant is visibly under the influence of some sort of controlled substance like heroin, and a syringe is found in the car,. In this scenario, it could be possible for a court to convict the defendant under (d)(2) even if the defendant refuses a blood test. Further, (d)(2) could be used to charge someone with driving under the influence of a controlled substance for which they have a prescription. If you have a prescription for Xanax, but the Xanax makes you sleepy and unable to drive safely, or if you took too many Xanax, you could be found guilty of DUI under section (d)(2). However, the officer's observations as your ability to drive safely and any defense evidence will become critical in a prosecution under this section. It is not a per se offense like (d)(1) because (d)(2) requires the Commonwealth to show more than just the presence of a controlled substance in your blood. Instead, the Commonwealth must show that you could not drive safely. The third section, (d)(3), makes it illegal to drive under the influence of any combination of drugs and alcohol which impairs the person's ability to safely drive. This section of the statute involves mixing drugs and alcohol. For example, if you normally take Xanax with a prescription, you would not be DUI if you are still able to safely drive. However, if you add alcohol to the mix, it may no longer be a defense that you have a prescription for the Xanax. Like section (d)(2), (d)(3) requires some sort of evidence that you were not able to safely drive the vehicle. Finally, (d)(4) is a rarely charged section which prohibits driving while under the influence of a solvent or noxious substance. Prosecutions under this section are almost heard of. However, like (d)(1), (d)(4) does not require any evidence that the defendant was unable to safely drive or operate the motor vehicle. The two most common questions I receive from clients is whether they are going to lose their license and whether they are going to jail. Each case is different, and in some cases there are either defenses to the charges or there is the possibility of negotiating a non-custodial sentence with the prosecution. However, the reality is that Pennsylvania has some of the most severe mandatory minimums for a DUI conviction of any state in the United States. Unless you qualify for ARD, even some first-offense DUI convictions may require the imposition of a mandatory minimum sentence of incarceration. DUI offenses are divided into tiers. There are three tiers of offenses which depend on the substance involved, the defendant's BAC, and whether the defendant refused chemical testing. In 2019, a new law went into effect which makes DUI a felony of the third degree under certain circumstances. When the defendant has three or more prior DUI convictions or the defendant has a prior conviction for homicide by vehicle while DUI, then the charge becomes a felony of the third degree instead of a first-degree misdemeanor. As the law is written, drivers under the influence of controlled substances and those who refuse breath or chemical testing are subject to the highest BAC category penalties. However, under recent United States Supreme Court and Pennsylvania Superior Court caselaw, it appears that courts may no longer penalize the refusal to submit to a blood draw as a Tier III offense. Refusals to submit to breath testing are still punished at the highest tier. Additionally, the legislature recently amended the law to require ignition interlocks even for first-time offenders in Tier II and Tier III cases. This same amendment, however, allowed for many offenders to receive special ignition interlock licenses which allow them to continue driving despite the license suspension provided that they install the ignition interlock devices as required. These cases are still very serious. Given the possibility of receiving a one year mandatory minimum jail sentence in a state prison for a third offense, it is clear that DWI offenses are extremely serious. It is a common misconception that there are no defenses to DUI charges. Many people believe that if they were driving and they failed a field sobriety test or chemical test, then they have no choice but to plead guilty and hope for the best. Fortunately, this is simply not true. Pennsylvania's DUI statutes are incredibly complex, and there are a number of potential defenses to a drunk driving charge which range from pre-trial motions to defenses at trial. First, many cases are won and lost through the use of pre-trial motions. Our criminal lawyers have successfully litigated motions to suppress the evidence as well as motions in limine when the police have failed to follow the rules and regulations surrounding DUI law. The motion to suppress is extremely common in DUI cases. In order for the prosecution to introduce the observations of the arresting police officer and the results of a blood or breath test, the prosecution must be able to show that the evidence was obtained legally. This means that the police must have had probable cause of a motor vehicle violation or reasonable suspicion of some other criminal activity in order to make the initial stop of the motorist. In order to make an arrest and transport the motorist to the police station for blood or breath testing, the police must also have had probable cause that the motorist was driving under the influence of drugs or alcohol. In many cases, we are successfully able to have the results of the blood or breath tests excluded or even the observations of the officer excluded if we can show that the police did not have legitimate basis for the initial stop or sufficient probable cause to arrest the defendant for DUI. We are often also able to challenge the placement of checkpoints because the police frequently fail to follow the law regarding checkpoints and do not have the necessary data to justify the location of the checkpoint. There are a number of other potential pre-trial motions which could provide a defense to DUI charges. For example, in order to use the results of the breath test, the police must take the test within two hours of seeing the defendant driving, and they must also observe the defendant for 20 minutes prior to administering the test in order to make sure that the defendant does not consume any other alcohol, burp, or vomit because those actions could influence the results of the test. The police department must also follow strict rules and procedures regarding the calibration of the breath testing equipment. If they violate any of these rules, it could be possible to have the evidence excluded and the case dismissed. The law surrounding refusals and the warnings that must be read to motorists prior to a blood draw have also recently changed dramatically and could be helpful to your case. Each case is different. Our lawyers are well versed on the rules and regulations that the police must follow both in terms of the equipment they use, the testing procedures, and the constitutional laws they must follow when making a stop and/or arrest. We also work with expert witnesses in many cases to challenge the Commonwealth's evidence of intoxication or that they followed the proper testing procedures. Therefore, we are able to use pre-trial motions to make sure that your rights were not violated. Second, there may be defenses to DUI at trial. If the defendant is charged based only on the observations of the officer and there are no test results or the test results have been suppressed, then it can be extremely difficult for the prosecution to prove beyond a reasonable doubt that the defendant was incapable of safe driving. If the police officer did not observe a number of significant traffic violations or evidence of reckless driving, then the mere fact that the defendant smelled like alcohol or marijuana or admitted to using some sort of intoxicating substance will not be enough. Instead, the prosecution must actually prove that the defendant could not drive safely. This is a high burden to meet in the absence of evidence that the defendant caused or nearly caused an accident. Further, our Philadelphia DUI lawyers are often able to show through cross examination that many of the signs that the Commonwealth suggests are evidence of intoxication are in fact simply due to nervousness caused by a police encounter or other normal characteristics of the defendant such as a medical condition. In other cases, we are able to use the results of our own investigation or inconsistencies in the police paperwork to challenge the credibility of the police officer as to whether the defendant was really exhibiting any signs of impairment. Finally, actual operation of the vehicle is an issue that frequently comes up in DUI cases. The Philadelphia police charge a large number of people with DUI each year even in cases in which no one ever saw the defendant actually operating the vehicle. For example, if the police come upon a parked car with the engine running and the defendant sleeping behind the wheel, they may often arrest the motorist. Or if the police arrive at the scene of an accident and no one is in the car when they arrive, the police may improperly assume that the defendant was the driver of the vehicle. In these types of cases, we may be able to successfully challenge the assumption that the defendant ever operated the vehicle. If no one saw the defendant behind the wheel, then the police may not simply guess that the defendant actually operated the car. Likewise, if the defendant was merely asleep with the vehicle in park and there is no other evidence that the defendant moved the vehicle while intoxicated, then depending on the circumstances, it may be possible to show that the defendant was simply sleeping the intoxication off before going home. The bottom line is that our Philadelphia criminal defense lawyers have tried and won countless DUI cases. In many cases, there are pre-trial motions to be litigated and potential defenses at trial. You should not assume that just because you have been arrested, you have to plead guilty. Instead, you should call one of our DUI defense attorneys for a free 15-minute criminal defense strategy session. Each case is different, and there may be defenses in your case. There are a number of potential diversionary programs which can help a first-time offender avoid conviction, jail time, and potentially even a driver's license suspension. In Philadelphia, these programs typically include ARD, DUI Treatment Court, and Intermediate Punishment. Although Intermediate Punishment and Treatment court may result in convictions, they typically result in a significantly reduced jail sentence followed by a period of house arrest. Therefore, they may be good options for a defendant who is facing a significant mandatory minimum due to prior DUI convictions. We have written extensively about pre-trial diversionary programs in previous articles, and you can learn more about them here. Don't just assume you have to plead guilty and are going to lose your license. Call 267-225-2545 for a free 15-minute criminal defense strategy session with one of our Philadelphia DUI Defense Attorneys.